Important: Beginning January 1, 2017, the Canadian government will no longer offer the education and textbook tax credits (students will still be able to claim the tuition tax credit). If you’ve got unused education and textbook credits from years prior to 2017, you’ll still be able to claim them or carry forward these amounts for use on future returns. Refer to the Canada Revenue Agency’s (CRA) website for more information regarding these changes. The T2202A is issued by Canadian colleges, universities, or other educational institutions certifying that a student was enrolled in a program that qualifies for the federal tuition tax credit. If you’re a student who was enrolled during the year in a qualifying educational program at a Canadian college or university, you would’ve received a T2202A. Note: If you made a charitable donation through your school, your T2202A might include the amounts you donated in the year. You can find your donation amounts under your student number in the Student number box. 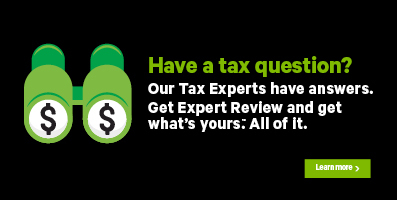 To claim your donations tax credit, you’ll need to enter this amount on the Donations and gifts page under the MOST POPULAR icon on the PREPARE tab of H&R Block’s tax software. Click this link for more information on claiming your donations. If you’re a student enrolled in a post-secondary program at an educational institute in Québec, in addition to the T2202A, you’ll also receive an RL-8: Amount for post-secondary studies slip. You can use the information on your RL-8 slip to claim the Québec tuition tax credit, as well as to transfer tuition amounts to your parents. Where do I enter this?